What is a Mandala? 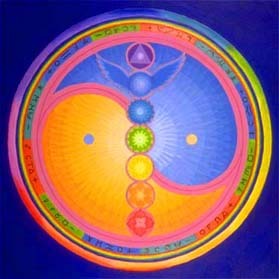 Mandalas are circular and geometric representations of images of spiritual life, both outer (sun) and inner (shadow). They symbolize aspects of life such as earth, water, air, and fire as well as all other components of life. What is a Metaphor? Metaphors are literary figures of speech where one subject is compared symbolically to another unrelated subject. But this workshop is about differentiation in learning. How do mandalas and metaphors have to do with teaching my students with differing levels of readiness, learning profiles and interests? How do I teach abstract ideas like metaphors and idioms to my adult students? Let’s start with a lesson plan that “hooks” the student. That’s where you come in to this session! Hope Lynn will be presenting this session on Thursday at Conference. This entry was posted in Florida Literacy Conference and tagged 2012 florida literacy conference, hope lynn, mandalas, metaphors, st. petersburg by Florida Literacy Coalition. Bookmark the permalink.